This guest commentary was written by Mike O'Rourke of JonesTrading. Do you think this extended balance sheet should be maintained permanently or do you think it should be a temporary fixture? Chairman Bernanke: No. It's a strictly temporary measure which is being used, given that the interest rates are down to zero, this is the next step. This is the next way to expand or to create expansionary support for the economy…That's the challenge that we face in every expansion. But clearly, this is a temporary measure which is intended to provide support for the economy in this extraordinary period of crisis and when the economy is back on the road to recovery, we will no longer need to have those measures. 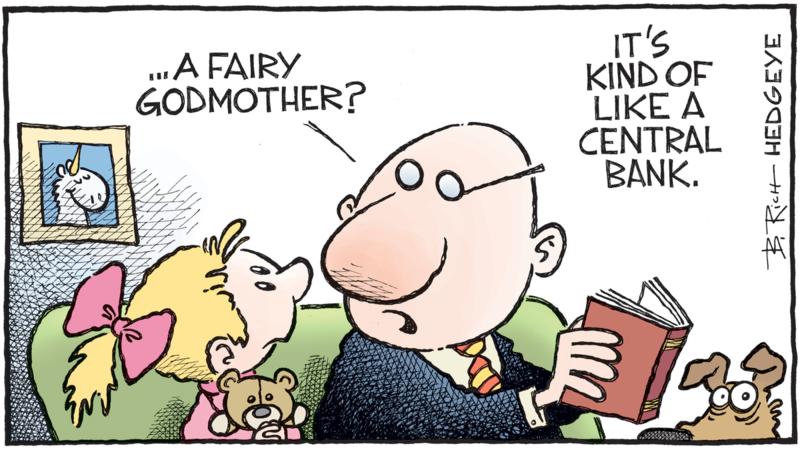 Chairman Powell confirmed that story today at the FOMC press conference, leaving little doubt that Mr. Timiraos’ future articles will be monitored by Fed watchers with the utmost scrutiny. 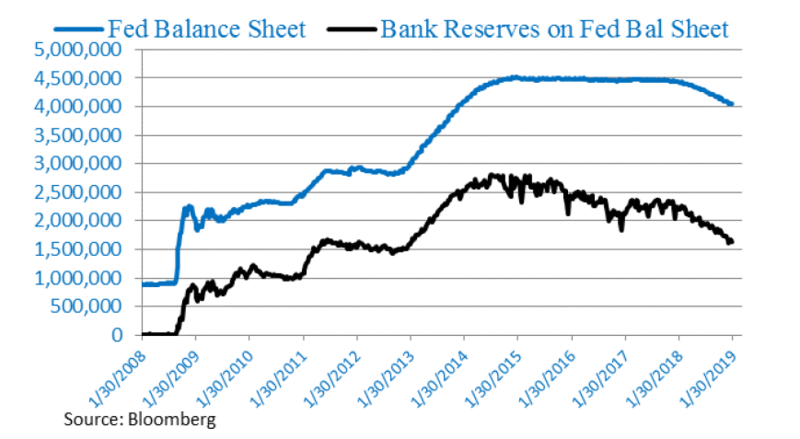 It is well known that the Fed’s balance sheet would never shrink back to its pre-crisis levels of $800 Billion because it cannot be smaller than the amount of currency in circulation. There is currently $1.7 Trillion in currency in circulation, that would be an ultimate floor which the balance sheet could not breach. The speculation surrounding this revised FOMC perspective on the ultimate size of the balance sheet is that it will settle in at $3.5 Trillion. With the Fed’s balance sheet at $4 Trillion, it means there is at least another year of Quantitative tightening left. In the New York Fed’s December Primary Dealer Survey, the group’s median response was that the level of bank reserves would settle in at $1 Trillion from their current level of $1.62 Trillion. That would indicate potentially 5 more quarters of Quantitative Tightening. This reiterates the public statements Chairman Powell made on January 4th. While it is simply common sense, the Fed’s willingness to codify this stance likely offered solace to financial markets. Regardless, despite updated policy guidance, balance sheet normalization remains on autopilot. Although Quantitative Tightening will not continue for 3 more years as originally anticipated, it is continuing for the foreseeable future. Charmain Bernanke’s comments from the heart of the crisis serve as a reminder that Central Bankers often operate with the best of intentions, but it is always much harder to “take away the punchbowl.” More than a decade after the “temporary measure” was introduced, the Fed’s balance sheet will settle in at more than 4x its original size. It was a $3.7 Trillion balance sheet expansion that will be followed by a $1 Trillion reduction.